Article: BoB, Vijaya and Dena mega merger to lead to job losses? One of the biggest bank mergers that has happened in the country so far might also lead to a large number of job losses. Are we ready for this big jolt? Mergers and acquisitions are fairly easy on paper. But it’s a hard nut to crack when it comes to execution. The amalgamation of culture, employees, and more importantly the values is truly an uphill task. When a company gets acquired or when companies merge, the decision is usually based on market fit or betterment of products. The process brings with it several challenges especially the employee differences and the value which often get flouted. Communication with employees, for instance, is found to be a big challenge as companies merge. Employees are often left in the dark which paves way for rumor mills around how the new entity will affect employees' work. And there are other issues as well such as retention. On September 17th, 2018, the Union Finance Minister, Arun Jaitley announced the merger of three banks –namely Dena Bank, Vijaya Bank and Bank of Baroda, with a combined business of Rs. 14.82 lakh crore, making it India’s third-largest bank. The minister also mentioned that no employee would face any service conditions which are adverse in nature. The best of the service conditions will apply to all of them. Despite the assurance employees do feel anxious about their job safety when it comes to their fitment into the new entity. While the completion of the deal might take months, this opens up room for apprehension among employees with answered questions including their new roles and responsibilities. 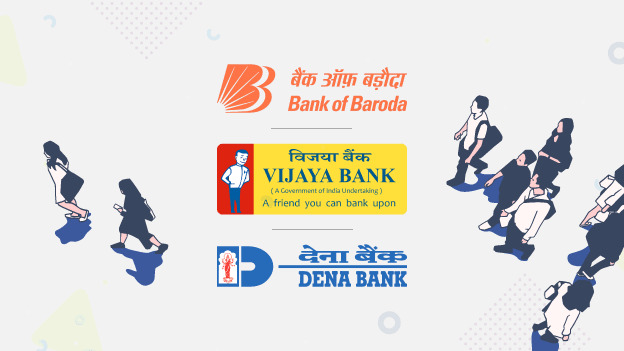 In an email to their employees, Bank of Baroda though said that they would like to state that Barodians should not have any apprehension on the amalgamation as the service conditions will remain unaffected. The combined entity will offer more and diverse opportunities to the employees since it would have a broader geographic footprint to operate, said the statement. For an employee, this assurance might not be enough to stay put. Ketan Kapoor, the CEO of assessment and skill measurement company Mettl feels that the impact of mergers and acquisitions on employee morale can be significant if the reorganization of the business is not handled effectively. The note also highlighted that the proposed merger has spooked trade unions, who have decided to launch demonstrations. They fear combined synergies may result in loss of jobs. Citing the SBI’s merger earlier this year, the union felt that amalgamation of banks may not have resulted in a direct loss of jobs so far but has shuttered several bank ATMs and branches. Plus, employees were allowed to take voluntary retirement, positions that are yet to be filled. 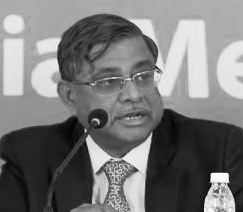 Commenting on how the company is planning to address human resource issues, talking to The Hindu, PS Jayakumar, MD, and CEO of Bank of Baroda said, “There is no such thing as enough communication. We need to communicate, communicate and communicate. If we look at the data for Bank of Baroda, we relatively have a lesser number of people than we ought to have. The second thing is that we are going through a phase where a fair amount of retirement is happening given the particular age structure which is common to all the three entities. Given all of these factors, I think there is a need for more people and more growth. So, I think there should not be any concern among employees with respect to retrenchment. Sanjay Lakhotia, the co-founder of Noble House is confident of no job loss. He said, "There is an expectation that the merged entity will have the opportunity for significant growth and new markets and that may help in absorbing a large set of employees to fill the requirements of growth." Highlighting an essential aspect of the merger, CIEL HR CEO, Aditya Mishra mentioned that the bottom line for an employee is to know if the person has the job safe and secondly he wants to know about the changes in responsibilities, workplace, colleagues, and manager. This merger will take time to put together. Until then, it is likely that huge amount of gossip, rumors, and grapevine spreads within the organization impacting the pace of work. Hence, the sooner clarity is obtained; it is easier for the employees to settle down in the new way of life. It is said that post the merger the total employee strength will be around 85,675. The HR function should start strategizing their crucial focus areas soon to avoid any fallout. Whenever a merger happens, the HR team has to play the most critical role in handling the workforce. The onus is on the HR team to communicate the message across to employees in clear terms. Experts suggest various ways to execute the merger in a successful manner. In the initial stages, HR has to figure out if the organizational culture of the companies partnering together is compatible enough to have meshed as one. It’s critical for them to analyze the cultural amalgamation of all the companies by considering the demographics of the partnering organizations. Post-merger, when different corporate cultures integrate, it’s the responsibility of human resources to enable a smooth transition by assisting the employees to comprehend and embrace a new organizational culture. Second important advice for the HR team is not to impose a work culture of one entity wholly on the shoulders of employees from other banks. Instead, the HR needs to define an entirely new work culture that derives some pointers from the previous work ethics of the organizations merging. This will help employees feel a sense of belongingness with the same and are more likely to adapt to it without complaining. And last, the HR team should identify the cultural differences across the three organizations and define a path forward.